Ms. Culpepper is the managing partner at The Culpepper Law Firm, P.C. and was licensed by the Colorado Supreme Court in 1998. She has spent over 17 years working real estate, regulatory, and corporate deals including international work. Ms. Culpepper has owned her own firm since she was licensed in 1998. She also founded a business consulting company in 2003 that specializes in helping small to mid-sized businesses improving their revenues while decreasing their expenditures. The combination of owning and managing her own firm along with her consulting work has given her an unique edge working with her corporate clients. At The Culpepper Law Firm PC, we believe that fostering and maintaining long term relationships with our clients is a significant benefit to the client. Because of this, Ms. Culpepper acts as outside general counsel both to start-ups and long-standing companies. In these circumstances, Ms. Culpepper generally prefers to meet with clients at their place of business to get familiar with the personnel, the processes and the outcomes of the business. By knowing the client’s needs and the particulars of the business, Ms. Culpepper and her team of lawyers at The Culpepper Law Firm PC can provide better legal services to the firm’s clients. Some of the services Ms. Culpepper commonly provides to clients are a review of the contracts used by the client’s business with its customers, distributors, and suppliers; drafting contracts, including employment agreements, confidentiality and proprietary information agreements (also known as NDAs or Non-disclosure Agreements); and, shareholder (or member or partner) buy-sell agreements. Ms. Culpepper provides oversight and advice to the board of directors or managers in all corporate and regulatory compliance matters, assists with preparation of minutes of the board and of shareholders (or members or partners); and negotiates and drafts merger and acquisition agreements for businesses, as well as Plans of Dissolution. Ms. Culpepper is a certified Mediator and often assists clients resolve disputes between shareholders, members, officers and directors, as well as with employees and management; and, between the businesses and their customers, landlords, vendors and suppliers, before they turn into lawsuits. 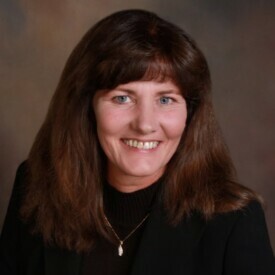 As a mediator in a mediation setting, Ms. Culpepper brings her business and real estate legal knowledge and mediator skills to bear to facilitate the parties’ resolution of their disputes. In a circumstance in which the firm does not represent its client in litigation, the role of outside general counsel is helpful to manage the company’s litigation attorneys, both in state and out of state, and when appropriate, internationally. Litigation can be exceptionally expensive, and even more so if the company doesn’t have the personnel familiar with litigation billing to prudently review litigation billing. Call Ms. Culpepper to discuss how outside general counsel will be a benefit and cost-reducing measure for your company.